It has been very interesting to see the escalation of the battle for disclosure progress. A number of months ago, we received predictions from whistleblower and experiencer, Corey Goode, that an effort to squelch the full-disclosure narrative was soon to be initiated. Not long after this prediction was made, we see the initiation of one of the most bazaar, over-the-top, and desperate smear campaigns most of us have ever seen. Most smear tactics have historically been directed toward political figures and were designed to manipulate the minds of the general population. However, the political-style campaign launched against the Full Disclosure narrative was directed specifically toward the truth community. This is something most of us—both the professionals who work in alternative media and those of us in the general audience—have never encountered before. Some describe the experience as feeling like the "twilight zone" as though they are living in some parallel reality, and personally speaking, I would have to agree. More recently, it was reported that opposition against disclosure was stepping up their attempts to stop the whole truth of crimes against humanity from coming forward. These opposers of truth wanted to enact a partial-disclosure scenario in which various truths would be revealed, but none which required accountability for the crimes committed by the Cabal to maintain the mountains of secrets these elitists have sat on for the past century. These interests have desired to make it appear as though they were the heroes of our day and not the perpetrators of these crimes. They desired to sweep all of their misdeeds under the rug so that they could continue living their lavished lives of comfort, wealth, exploitation and mass murder. There are, however, those of us who believe that humanity deserves better than a manicured collection of half-truths. The escalation of the attempts at stopping the full-disclosure narrative seem to have reach levels beyond ridiculous. In my own personal experience, I have seen what appears to be a deliberate attempt by social media to stifle the spreading of the full-disclosure narrative by blocking users who post from Gaia.com. Both the Discerning the Mystery website and a number of other users have reported experiencing a strange and unexplained ban on our Facebook accounts immediately after posting from the Cosmic Disclosure series on Gaia.com. This involved Facebook claiming that the material was "spam," but the notice which Facebook sent gave no other explanation as to why such a ban was enacted. Whether or not such bans are temporary or permanent, it seems very strange that a show that promotes Full Disclosure is being seemingly targeted and censored in a similar way we saw during the smear campaign against full-disclosure advocates. Could the same people be behind both efforts of censorship and slander campaigns? If the Cabal is at fault, the answer seems to be "yes." Those within the Cabal have enough money, resources and connections with large companies such as Facebook to at least make an attempt at censorship. Plus they seem fearful and desperate enough to do almost anything to stop the truth of their crimes from coming forward. If this were the case, censoring social media and abusing company policies to accomplish such censorship would not at all surprise me. Though it may be annoying to some of us, this apparent censorship is nothing compared to what others have endured for the sake of bringing the whole truth to the public. David Wilcock, Corey Goode, Pete Peterson and several others have suffered and endured a great deal for the sake of full disclosure. They have experienced direct sabotage of their jobs, attempts to destroy their families, to steal their homes and property (some successfully), and have even had attempts made on their lives. These individuals were the targets of an extended smear campaign which lasted months on end, and now that this campaign failed, the next steps seem to have been attempted. However, I believe we will see these nefarious attempts fail as well. As we read the latest update from David Wilcock, let's keep in mind that even though these criminal actions have been taken against truth-tellers of our day, this does not at all mean that those behind these crimes will succeed. In fact, these recent developments may set the stage for more revelations to come forward—revelations which we may not have otherwise seen. Unprecedented solar emissions. Huge wildfires smoking out the US. Massive earthquakes. 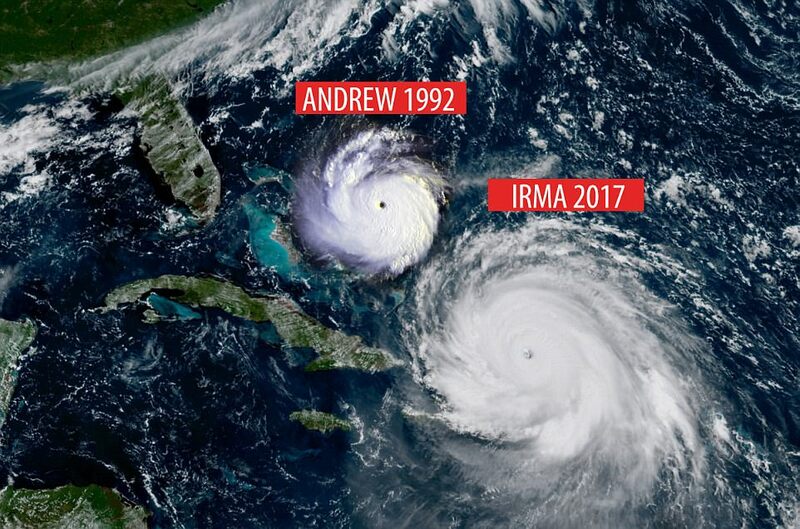 Three different monster hurricanes that steered perfectly into Houston, Florida and Puerto Rico. Damages to the already fragile US economy could easily exceed 1 trillion dollars -- at a time when there is nothing left to restore it with. Within the UFO / Seeking Truth community, we saw the tragic deaths of Jim Marrs and William Tompkins -- as well as the possible attempted murders of Graham Hancock and David Wilcock, as we will discuss in Part Two. David's insider 'Paul' had everything he owned stolen from him, as well as serious death threats. Pete Peterson's house has now been emptied to the bare walls and his trailers, packed with priceless classified items, are under imminent threat. A massive, coordinated online attack against Corey Goode, including the destruction of his business and the expected loss of his children, was intended to lead to a fake, staged 'suicide', made believable by his overall anticipated collapse. This all occurred shortly after Ancient Aliens, a top History Channel show, featured Corey Goode and William Tompkins' Secret Space Program testimony in an episode entitled "The Majestic Twelve", which aired on July 7, 2017. So much has happened since our last update a month ago that it is difficult to summarize everything. Are these events interconnected? The answer definitely appears to be yes. Since I am still on vacation, we will break this up into two different parts in order to not create any further delays. We will start by "following the money." WHAT WOULD HAPPEN IF THE SECRET SPACE PROGRAM WERE REAL? Let's begin our investigation with a mental exercise. Even if you have trouble with the idea of a Secret Space Program, or SSP, being real, let's just imagine for a minute that it actually is true. What would happen to our society if we were given absolute proof that the testimonies of the late William Tompkins and others such as Corey Goode, as presented in the "Majestic Twelve" episode of Ancient Aliens, were completely authentic? The [MJ-12] episode also covers Project Horizon and other secret space bases, structures on Mars dubbed "ancient builder race" by astronauts, NASA hacks that say the MJ-12 and the space programs they helped start existed, Roswell and other UFO cases. What if we discovered that countless trillions of dollars of our money, since as early as the 1950s, have been spent on developing vastly superior technology to anything we see today? What if the scope, depth and sophistication of this build-out is vastly bigger than most of us could even imagine -- and indeed extends throughout our solar system? Let's just say that the insiders are right... and these convenient, quick-sounding labels of words like "billion" and "trillion" have been used to obscure how much stuff could really be manufactured with this much money. What if this money financed antigravity craft, massive bases on Mars, the Moon and other satellites in our solar system and beyond -- some of which comfortably house hundreds of thousands of employees? What if the full release of this technology would instantly propel us into a world of everyday space travel and interaction with countless different races of humanlike ETs? What if the Cabal that planned and financed all of this was still clinging to power on earth, but was now threatened with complete exposure to the public? And... what if an Alliance within the military, intelligence and governments themselves is threatening this Cabal with complete exposure if they do not surrender -- and agree to tell us the truth? That's the world that some of us are living in -- right on the front lines. This "shadow World War III" may very well be reaching a stunning conclusion in the near future. The SSP narrative is so far removed from conventional reality that it seems almost impossible to imagine something like this ever becoming common, public knowledge. However, anyone who has studied UFO lore has heard that the US government acquired craft with interstellar travel capabilities ever since the Roswell Crash of 1947. Furthermore, it is considered common knowledge that these craft were "reverse engineered," leading to working models being built out of them with our own technology. It is commonly accepted by most open-minded investigators that such exotic aircraft have been tested in bases such as 'Area 51,' and are occasionally seen in our skies. If we could cruise around our solar system within a few years after Roswell, that means our military-industrial complex has had nearly 70 years to establish manned bases out there. The amount of money that has gone missing is vastly, vastly greater than what it would cost to build a fleet of reverse-engineered, advanced spacecraft. I was an angst-ridden 12-year-old when the news about the Packard Commission came out in February 1986. It only made me even more convinced that our world was run by an evil Cabal. This disclosure was extremely embarrassing to the military-industrial complex, as it revealed they were vastly overpaying for simple items like toilet seats -- on a massive scale. This revelation likely came from the same Alliance faction that had just started pushing the Iran-Contra scandal through a few months earlier, as of August 20th, 1985. As I discuss in The Ascension Mysteries, Iran-Contra was very likely intended to end the Cabal -- as it revealed treasonous collaboration with terrorists and cocaine dealers at the Presidential level. Disclosures about the Defense Department paying hundreds of dollars for a hammer and hundreds more for a toilet seat have infuriated President Reagan, who has called the reports a ''constant drumbeat of propaganda'' and not typical of the way the Government operates. But that ''propaganda,'' the President apparently forgot or did not know, originated with a commission on governmental efficiency for which he has been full of praise, the Grace Commission. Reagan and his administration -- many of the same people who became known as "Neocons" and are implicated in 9/11 -- did not at all like these revelations. Reagan attempted to defend them by calling this "propaganda" and acting as if it made him angry, rather than being interested in understanding why this was happening. "The fact is, a screw this expensive simply cannot get lost! How many times have you had a screw roll off your worktable and disappear, then just casually reached for another one because the missing fastener was too cheap to hunt for? "Lots of times, right? Well, you can bet your bottom dollar . . . that if one of our screws rolls into some dark corner, you're going to conduct a full-scale search!" Would you pay $400,000 for a single helmet? Of course you wouldn’t – but that is precisely what the U.S. government is doing. Just the helmet for the pilot of the new F-35 Lightning II is going to cost taxpayers nearly half a million dollars. And since we are going to need 2,400 of those helmets, the total bill is going to end up approaching a billion dollars. But what is a billion dollars between friends, eh? Sadly, our military has a very long history of wasting money like this. Back in the 1980s, the “six hundred dollar toilet seat” became quite famous. Average Americans were absolutely outraged that the government was wasting so much of our hard-earned money, and promises were made that things would change. Then in 2016, an expose' from The Nation revealed even more examples in current times. The latest revelations of waste at the Pentagon are just the most recent howlers in a long line of similar stories stretching back at least five decades. Keep in mind that the above examples are just the tip of the tip of a titanic iceberg of military waste. The first person to bring widespread public attention to the size and scope of the problem of Pentagon waste was Ernest Fitzgerald, an Air Force deputy for management systems. In a time-tested lobbying technique that has been used by weapons makers ever since, Lockheed claimed that denying it loan guarantees would cost 34,000 jobs in 35 states, while undermining the Pentagon’s ability to prepare for the next war, whatever it might be. By rewarding Lockheed Martin for its wasteful practices, Congress set a precedent that has never been superseded. A present-day case in point is—speak of the devil—Lockheed Martin’s F-35 combat aircraft. [There are] tens of billions of dollars in projected cost overruns and myriad performance problems before the F-35 is even out of its testing phase. What if we learned that the US government created vast Ponzi schemes as fundraisers, where the actual costs of wars and the space race were much less than what was reported to the public? What if these mega-fundraisers included the Korean War, the Vietnam War, the Apollo moon missions, the trillion-dollar fighter jets, the nuclear arms race and now the War on Terror? If you add up just the above, in conventional dollars, you have 341B + 770B + 110B + 5.48T + 2.1T, for a total of 8,801 billion, or 8.8 trillion dollars. Then throw in the absolutely ridiculous figure of 1.4 trillion for the F-35, and you are now up to 10.2 trillion dollars. Multiple insiders have risked their lives to reveal that these methods are used as a way of funneling vast amounts of money into secret projects. Some of this money was obviously spent legitimately on these programs -- but we are told that a significant majority of it was redirected elsewhere. On a far more mundane level, when I was given a bribery and threat attempt on July 3rd, 2017, just four days before the MJ-12 episode aired, I was told I could sell something and be vastly overpaid for it. I was told "This is how we do it. This is how we get money where it needs to go without it being anything easy to trace." Some of the articles we linked to above have some interesting facts worth exploring at this point. Nuclear weapons have cost the United States at least $5.48 trillion since 1940. The money spent on nuclear weapons, plus money for environmental cleanup, would buy 290 million automobiles, says an author of the study. [The author's name is] William J. Weida, a professor of economics at Colorado College in Colorado Springs and a former director of the Economic Policy and Analysis division of the Defense Department. Just so we are clear, the current US population is about 324 million. The money we have spent on nukes could buy a new car for almost every man, woman and child in America. You could build an entire civilization for that kind of money. 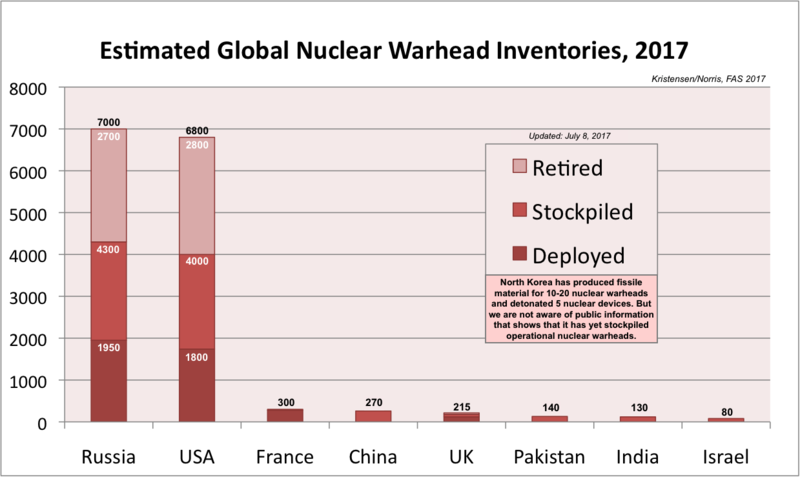 As of July 8, the United States has 6,800 warheads, according to data from Hans Kristensen and Robert Norris at the Federation of American scientists. 2,800 of them are retired, 4,000 are stockpiled, and 1,800 are deployed. The total number of U.S. warheads is second only to Russia, which currently has 7,000 of them. That would mean that each missile would theoretically cost as much in pure economic value as the manufacture of 42 thousand, 647 different automobiles. That would add up to a price of over 805 million dollars per missile -- a staggering number that approaches a billion dollars. This is obviously approximate, but it at least puts us in the ballpark. The cost includes money spent to invent them and produce them, build the missiles, bombers and submarines to deliver them and to defend against enemy nuclear attacks. the labor involved in the construction of one missile. This combined cost for one missile should certainly be less than what it takes to develop over 42 THOUSAND different automobiles. Once you consider that these glorified rockets could be a lot cheaper than we are being told, everything starts to make a lot more sense. WHAT THE HECK HAPPENED WITH APOLLO? As this next quote reveals, Mercury cost 265 million per flight. Gemini cost 723 million per flight. Yet, somehow, the price tag for each Apollo flight added up to 9,900 million bucks -- or 9.9 billion dollars each. How is it that we could successfully launch over 37 Mercury flights for the same money it cost to do one Apollo flight? Mercury put astronauts into orbit around the earth for the first time. Gemini again put them in earth orbit, but included longer trips and spacewalks. Is it really 37 times more expensive to send astronauts to the moon than it is to launch them into earth's orbit and safely return them? Project Mercury spanned five years (1959–1963) and cost $277 million in 1965 dollars, which translate into $1.6 billion in 2010 dollars. Since six Mercury piloted missions were flown, that amounted to $265 million per flight in today’s money. As for Gemini, the program costs $1.3 billion in 1967 dollars during its six-year lifespan (1962–1967). In today’s money, it would amount to $7.3 billion, or $723 millions for each of its 10 piloted missions. We thus could say that a Gemini mission cost twice as much as a Mercury’s. 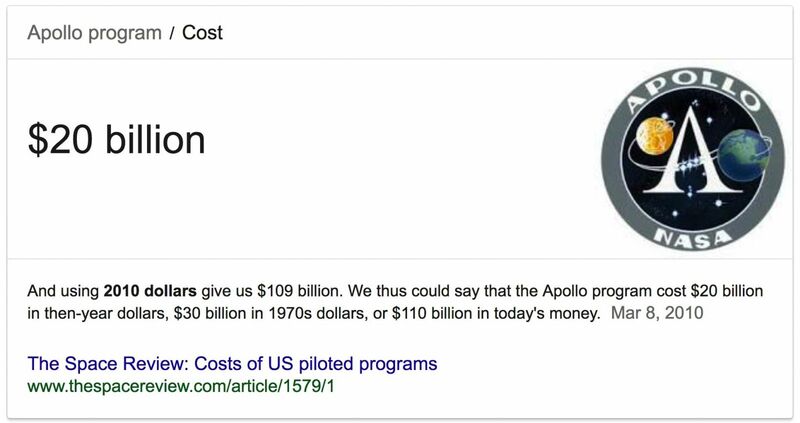 As reported above, the Apollo program costs $20.4 billion if we simply added yearly spending of its 15 year-lifespan (1959–1973), or $109 billion in today’s money. Since 11 Apollo piloted missions were flown, that amounts to $9.9 billion per flight. That’s way over Mercury and Gemini mission costs, reflecting the complexity of going to the Moon. And if we consider these $109 billion resulted in six lunar landings, each of these missions costs some $18 billion! This writer naturally assumes the outrageously higher cost was simply due to "the complexity of going to the Moon" -- but multiple insiders have risked their lives to say there is much more to it than that. Let's also not forget that each Mercury mission required a rocket to be launched. Just like a nuclear missile, which is also a rocket. Nonetheless, a Mercury rocket only cost 265 million per flight, whereas a nuclear rocket supposedly costs over 805 million per unit -- as we said above. Once you get the basic design perfected, and know where to mine the fissile materials, should it really cost so much more to produce a nuke? Numbers like "million," "billion" and "trillion" get thrown around all the time, but do we really understand exactly how much we can build with this kind of money? Most people have no idea. None whatsoever. This is the result of generations of mass-media brainwashing. The numbers give us convenient labels to file everything away under a short sub-heading in our minds. How many people could really even imagine the difference between having and spending 10 million, 100 million, 1000 million or 1,000,000 million? Yet, this all-too-easily ignored figure of a trillion dollars is literally, again, one million, million dollars.